In the world today, online transactions have taken over offline transaction. You no longer really need to visit your bank before you can buy online or pay up debts. With your credit cards or ATM cards, you can now easily sop online from the comfort of your home or office. Many online bankers and buyers have fallen prey to fraudsters because of lack of security tips to take while transacting on internet. 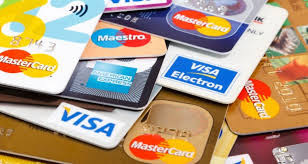 In this tutorial article, I will tell you what you should do and what you shouldn’t do when using your card online and some card security tips. Some scammers nay send you an email, text message or even phone calls telling you that you have won a visa lottery or that they are your bank Administrators and need your account PIN to update their database. Please ignore them it is scam! Latest Internet browsers are more secure than previous. So ensure that you use the latest version of your internet browser. Some popular Internet browsers are Mozilla Firefox, opera mini, UC browser, Google chrome, Safari, etc. Whenever you are transacting online make sure you check the security certificate of the site and how authentic they are. Some sites do use fake security certificates. Sites that have SSL are safer to transact with and cannot be hacked easily. Having a general knowledge of computer can save you of many online traps. Ensure that you have a computer literate around to help you out when transacting online. Do not tell anybody your Credit Card PIN. Do not write down your Personal Identification Number (PIN) anywhere. Try to memorize it! Note down or memorize the numbers and telephone numbers for reporting lost or stolen cards and keep this list in a safe place. Keep your card in view whenever you hand it to a merchant. Ensure that your card is returned after every purchase and always verify the transaction amount before signing the sales receipt. Report lost or stolen cards to appropriate Banks immediately. Hope you learnt a lot from this tutorial article? Have any further inquiry on how to shop safely with your credit card online?